The noun "Koninginnedag" is composed of "koningin" and "dag": "queen" and "day", respectively. "-ne-" is inserted between the words to join them together. "Koninginnedag" is celebrated on April 30th every year (or celebrated on April 29th if the 30th is Sunday). 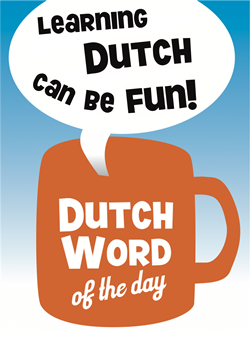 It is a national holiday in the Netherlands and started as a celebration of the Dutch monarchy. It is mainly known for the "vrijmarkt" (literally: "freemarket"), the one day in the year that anyone is allowed to sell anything in the streets. The night before is celebrated as "Koninginnenacht" Queen’s Night), or: – as it is called in The Hague – "Koninginnenach" (the "t" is not pronounced in the local dialect of The Hague, and the "ch" is a very ‘raspy’ "g"-sound, the same as in "Scheveningen"…;-) ). Prior to 1949 the holiday was celebrated on August 31, the birthday of Queen Wilhelmina. On Queen’s Day the monarch, Queen Beatrix, visits one or two towns where she is received with celebrations in her honor. These celebrations often involve traditional Dutch dances and demonstrations of old crafts. – "De Koningin heeft dit jaar met Koninginnedag Woudrichem en Den Bosch bezocht." – "De vrijmarkt in Amsterdam is altijd een chaos tijdens Koninginnedag."